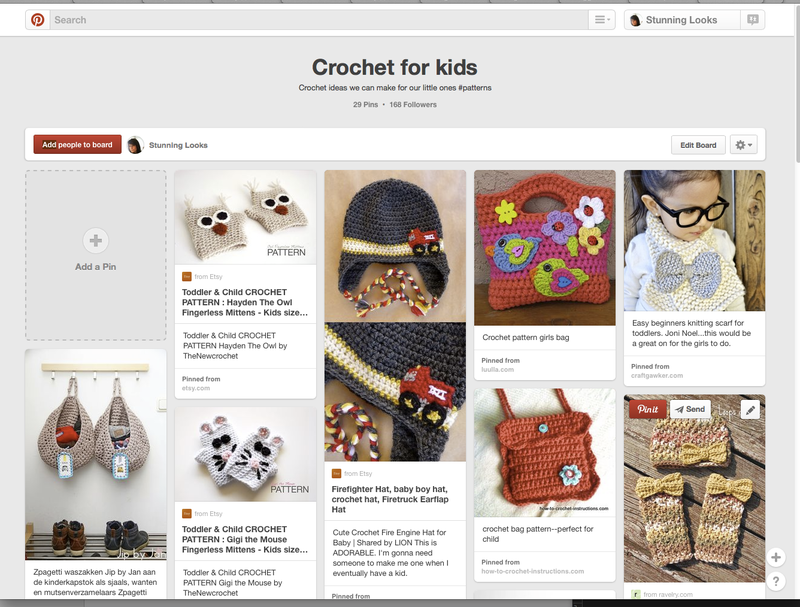 I have recently started a board on Pinterest called 'Crochet for kids'. But I thought it would be more fun to pin with others on this board. This is call to find other pincers out there whose name would like to be added to this board in order to help us pin 'crochet patterns we could make for our kids'. Leave a message here or send me an email at thenewcrochet[at]gmail[dot]com with your name or email linked to your pinterest account!!! Labels: crochet, Pinterest, What's new??? I hope very much you don't take the blog down, I have several pinned patterns. If you ever perhaps decide to could you give warning on here so I could write down the patterns I have saved please? ?